Schumer: Federal transportation bill will no longer derail critical funding for NY. Washington, DC - December 2, 2015 - U.S. Senator Charles E. Schumer today announced that, following his push, the joint House and Senate Transportation Conference has agreed to include the full restoration funding to the critical 5340 High Density States Program in the final transportation bill set to be voted on later this week. Schumer explained that, as a part of the transportation bill passed by the House a few weeks ago, a late amendment was agreed to that completely eliminated the 5340 Program. Schumer, who was chosen as a transportation bill conferee, made restoring the program and reversing the proposed cut a top priority for the conference committee. In 2014, New York State received $94,405,053 from the FTA’s Section 5340 High Density States program. Particularly, the Metropolitan Transportation Authority (MTA), which services commuters in New York City and Long Island, and the New York City Department of Transportation (NYCDOT) received more than $75 million in funding 2014. Schumer announced today that following his push, the final transportation bill will fully restore the 5340 program and on top of that, the program will see an increase of roughly $18.5 million over the next five years. As a conferee helping negotiate the differences between the House and Senate bills before the final transportation legislation is passed into law, Schumer successfully led the effort to protect this critical funding to NY transit agencies. In addition, under the deal reached in conference, funding for the 5340 Program will grow each year. Schumer said this means that, in addition to restoring the nearly $1.3 billion in 5340 funding for the next five years, there will also be a $18.5 million increase in 5340 funds over the next five years. Under current law, the 5340 Program is funded at $262,950,000 per year. By year five of the proposed transportation bill, this funding will reach $269,364,074. The Senator said these increased funding levels also come in addition to the creation of a new $1.5 billion discretionary bus program – roughly $300 million a year – which transit agencies will be eligible apply to, in an effort to replace aging fleets. Schumer said this means the 5340 and the discretionary bus program – which initially was set to receive the redirected 5340 funds – will both be allowed to grow and help transit agencies across the country. This 5340 funding is critical to transit agencies across the state, many of whom rely on this federal funding to help balance their already tight budgets. Eliminating this direct funding to transit agencies like the MTA and NYCDOT would have left those agencies with less funds available for critical maintenance, system upgrades, and to ensure reliable and important service is provide throughout NY State. The loss of this funding could have had an indirect impact on other forms of transportation as well, including highway and bridge funding. For example, if a smaller mass transit agency in Upstate New York runs into financial trouble because of the loss of this funding and needs to be made whole by the state, New York State might have had to reduce the amount of money they spend in other transportation programs to make up for the loss. 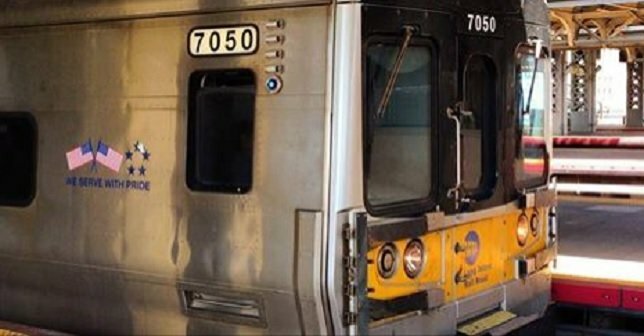 New York City, Long Island, and the Hudson Valley received a combined $71,725,257 in federal funding, through the MTA, under the High Density States program in 2014 (this total includes some limited service to other areas within the UAZ including CT, and NJ). Subject: LongIsland.com - Your Name sent you Article details of "Schumer: Senate, House Leaders Agree to Restore Critical Transit Program Funding in Transportation Bill"